Fire alarms are a standard in any home, but with the progress of technology, and news coverage of flooding becoming increasingly common, homeowners are looking for other ways of assuring the safety and well-being of their property. 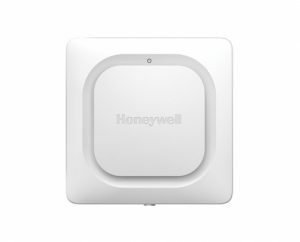 To meet that need, we are introducing two new models of leak alarms from Honeywell. Powered by 2 AA batteries, this reusable water leak alarm can be placed directly on the floor or mounted on the wall. It comes with 5 foot cable that can then be attached and placed in high risk areas such as the basement or around a water heater. Once triggered, it can emit a 100 Db alarm notifying anyone in the building of a leak before it causes any damage. This multi-function reusable model can detect water, humidity and temperature, and so can serve both a leak and freeze alarm. Running off of 3 AAA batteries capable of lasting up to 3 years before needing to be changed, this unit can be used by placing it on the floor, or also wall mounted with an extension cable. The most important feature is how it will alert the homeowner of a possible leak/temperature drop. 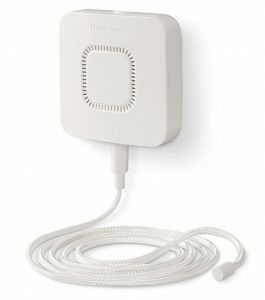 It comes with a built-in 100 Db alarm that will sound with any detection, but can also be connected wirelessly to a standard Wi-Fi signal, and send an alert directly to a smartphone, making it the perfect option for peace of mind when you're not home, and ideal for anywhere less travelled, such as vacation homes.